Have you ever walked through the front door of a building in one country and walked out the back door in another? How about driving along on the actual border line between two states? Check out our collection of the quirkiest border towns in North America. 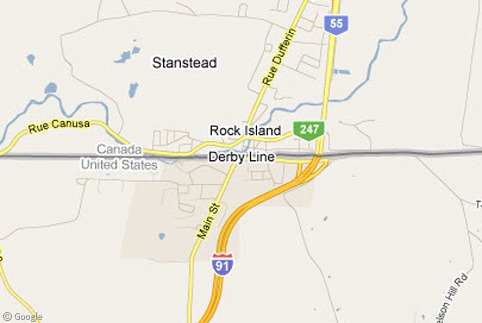 The small American village of Derby Line, Vermont actually lies north of the 45th parallel, which is the border between the United States and Canada. 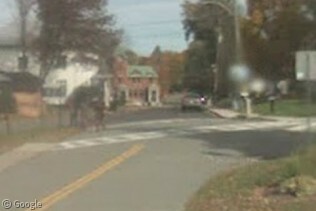 The village was first settled back in 1795, when surveying techniques were crude at best1, resulting in a nearly quarter of a mile error. When the borders were finally adjusted south to their proper locations in the mid-1800’s, Derby Line was reduced to a tiny geographic size of 0.7 square miles (1.8 km2). Concerned about illegal immigration, the U.S. Border Patrol has tried to close streets which have historically run together with those of neighbouring Stanstead, but they have so far remained open. If residents cross the border to either country, they’re required to report their citizenship and pay their duties upon their return. Frequent questioning and searches are a normal way of life. Some houses even sit directly on the border itself! 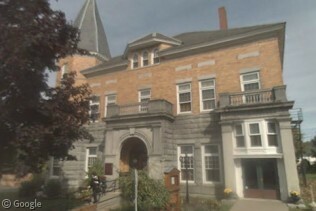 The Haskell Free Library and Opera House was purposely built on the border back in 1904. It was intended for use in both countries, but with today’s heightened border security library guests are required to park on their respective sides of the building (in their country) and sometimes have to report to customs before even entering. According to the picture, it’s entirely possible to read one side of your book in the United States, and the other side in Canada. 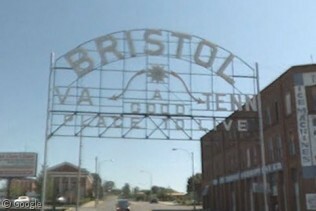 The state line between Virginia and Tennessee often gets lost between the cities of Bristol and Bristol. That’s right; two cities with the same name share the same border in two different states! To be honest, these two cities can really be thought of as one with two governments. 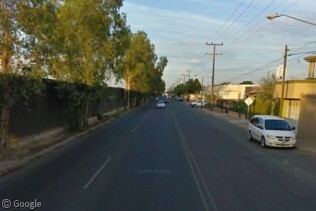 In fact, they both share the same downtown district without very many signs that show the actual border along the way. 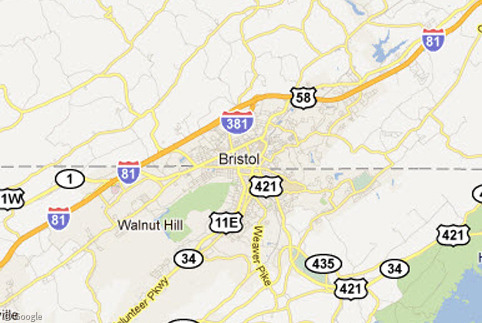 The cities of Bristol are divided by State Street, which happens to be the border for most of the town. On one side of the road you’re in Virginia, and the other side you’re in Tennessee! There are some signs located around town to indicate the border between the two states, including this one over State Street which lists the two states on the bottom corners. 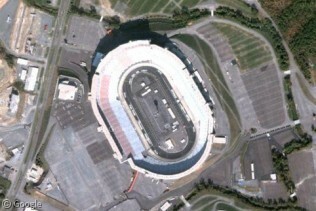 The Tennessee side of Bristol is also the home to Bristol Motor Speedway, a 1/2 mile racetrack that is home to numerous NASCAR events throughout the year. 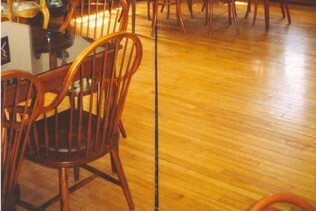 The facility is known for being one of the few that routinely sells out all 160,000 seats in advance each year. No wonder it looks more like a stadium than racetrack. Bristol also claims to be the “Birthplace of Country Music” since it was where the first recordings of country music were made. 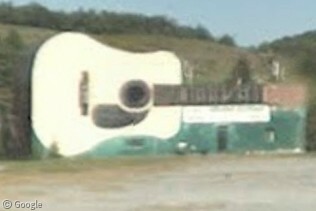 Maybe that explains the huge guitar we found on the side of the road? Being quirky doesn’t always mean dealing with the border itself; sometimes you can just split the name like they did in Calexico and Mexicali! The Mexican city of Mexicali (MEXIco+CALIfornia… get it?) is the northernmost city in Latin America and the border opposite of Calexico, California (CALifornia+mEXICO… we know you got that one!). 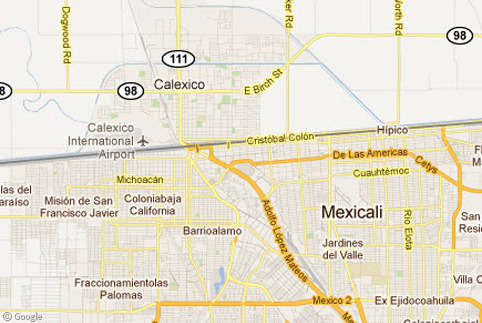 As you can see from the satellite imagery, the much larger Mexicali is home to over 900,000 people, and its little sister Calexico just thrives on being across the border from such a large population. This whole area is supposed to be the Baja desert, but in the early 1900s the sand was converted to farmland with the help of new canals made by both Mexicans and Chinese labourers. 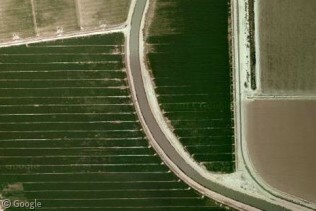 Some of the canals are connected to the nearby Salton Sea. 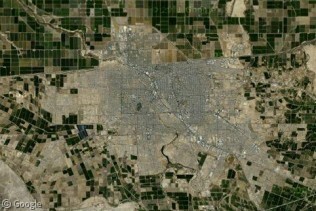 From above, Mexicali looks every bit as busy as it is on the ground. 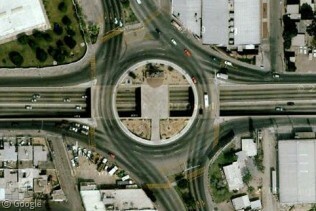 One of the most famous features has to be this roundabout known locally (and translated to English) as the “Circle of Death“. The name comes from the fact that, at best, traffic laws are only very loosely followed. As with any typical U.S./Mexico border town, security is taken very seriously. Take a look at this long straight wall that marks the border between the two countries. While this post focuses on North America, there are hundreds more quirky border anomalies around the world. Where’s your favourite? Baarle-Hertog/Baarle-Nassau in Belgium/The Netherlands has the most complicated border I know of, or could possible imagine. Lloydminster, Saskatchewan/Alberta might be my favourite, because it’s not a pair of twin cities with the same name, but is actually incorporated as a single city with a single municipal administration straddling the border. As a result, it has its own unique hybrid set of laws that are a compromise between those of the two provinces. The Mississippi River border is strange. Because the borders between the states were made using the river and the river has changed its course (but the borders didn’t change) sections of states are on the wrong side of the river. Kaskaskia, Illinois is a good example as it’s on the Missouri side of the river. The town had been destroyed by flooding so only 14 people live there but they have Illinois driver’s licenses and Missouri ZIP codes because they are served by a Missouri post office. The two communities, situated as they are relatively isolated out in the desert, are closely intertwined: West Wendover is the only town in Nevada to officially be on Mountain Time. There is a growing movement afoot to “reunite” the two towns, by having Wendover secede from Utah and join Nevada, and unite the two towns under one government. This requires consent from both towns, both states, and the Federal Government. In 2002, a bill passed the US House allowing this transfer, but for reasons I haven’t figured out, Harry Reid blocked it. So they are still separate municipalities… for now. Oh damn. Should have previewed. Can this be cleaned up? Sounds like it was a fun trip! I have been to Bristol Tennessee, but not Derby line or Calexico. I’ve never been to Derby Line myself. Sounds like it would be a pretty tense place though… one wrong turn and you could cross the border illegally! When I was in the Army stationed at Ft. Campbell, Kentucky…when we went to the mess, hall we got our plate in Kentucky and ate in Tennessee. Strangest place I have found via Google Maps is St. Regis, which is part of the Akwesasne Mohawk Nation near the tripoint of Ontario, Quebec, and New York state. This is a small exclaves of Quebec, Canada there that can only be reached by land from New York state, and the weird part is that (apparently because of the special status of the Akwesasne Mohawk Nation) there is nary a border control to be seen on either side of the line (though apparently there is a Canadian post office on the Quebec side). It appears perhaps you could wander across the border here and not even realize it – a real oddity in today’s world. I’ve never been there and I have no idea whether the residents of the Quebec side of the line get utilities (electric, phone, etc.) from the U.S. or from Canada. 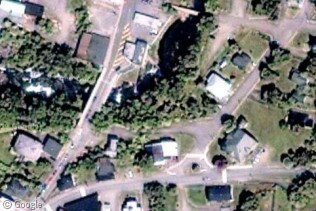 Unfortunately Google Street View hasn’t reached this area but the satellite views make you wonder if there are actually houses bisected by the border. I would imagine it’s probably an interesting place to live, though you probably wouldn’t if you’re not Native American. The interesting things you learn from Google!